Thermal body scans reveal an effective roadmap to improve health, wellness, and life longevity. 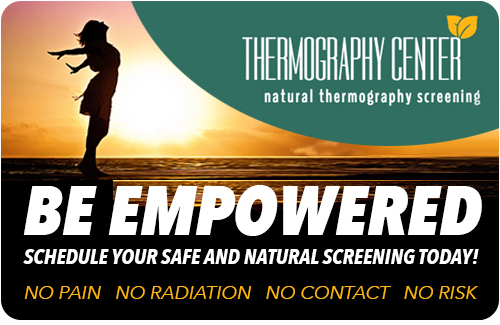 Breast thermography’s role in breast cancer and breast disorders is to help in early detection and monitoring of abnormal physiology and the establishment of risk factors for the development or existence of cancer. This procedure empowers women to make decisions, with their health practitioners, at the earliest moment possible. With the test findings, we can assist them in taking pro-active approach to their health through nutrition, hormone balancing and detoxification. A Full Body Scan is used for the early detection of abnormal changes in the body for preventative care or for further diagnostic testing and for indications of disease, organ function and pain. Our full body report provides a spectrum of findings, from hot spots or inflammation found in the body, commonly seen as myofascial or degenerative changes, to indications of health issues and concerns, sometimes noted in the report as a sluggish liver, an under-active thyroid, a low immune function or plaque buildup in the Carotid Arteries. As many of us understand by now, sustained inflammation in the body may contribute to the development of disease. Chronic inflammation can lead to chronic disease. There is no question that identifying and responding to small areas of concern is a lot easier to treat and heal in the early stages. Our thermologists/doctors will note in the report findings hot spots, areas of inflammation, specific concerns and if they see any indications of disease or cancer, and, in this case, immediate follow-up is strongly advised. Our full body scan covers the entire body, taking images from head down to toes. A full body scan provides our clients and potential clients with peace of mind, a clear internal roadmap for proactive and preventative care, and guidance for next steps in the event of a confirmed diagnosis (after a positive biopsy or 3 high risk correlation screenings/reports). 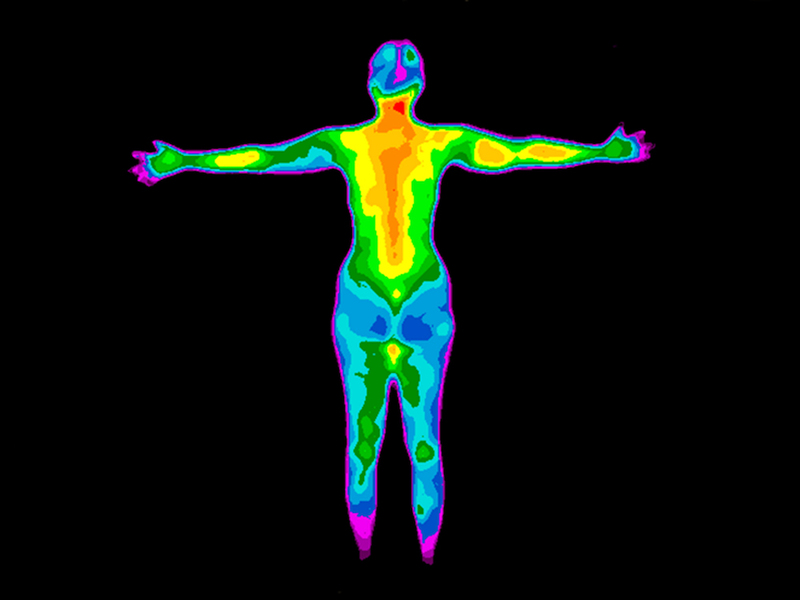 Many of our clients also use thermography scans for carefully monitoring a health challenge.